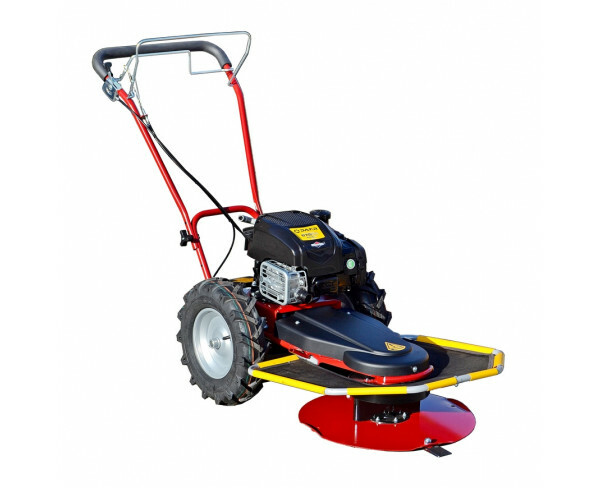 Proton 2 mower has a solid axle with V-shaped tread pattern wheels and 2 forward speeds so it is suitable for maintenance of demanding terrain. 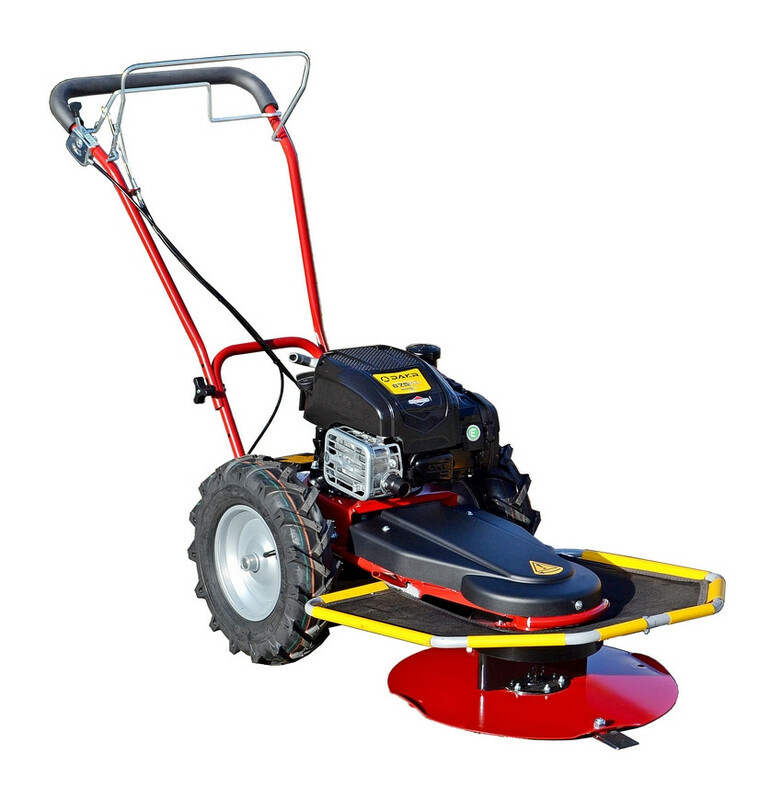 The mower is equipped with independent, intuitive travel and cutting mechanism engagement controlled by pair of bars. The control bars are designed so that on one hand the effectivity of the tensioners is as high as possible and on the other side the force for the control bars holding is as low as possible. 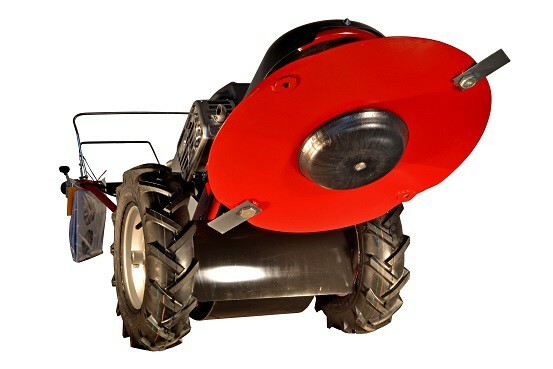 The machine is powered by four-stroke XP-200 engine with OHV valves distribution and 6.0 HP output.